Increase safety and productivity with Versa-Kool circulation fans. 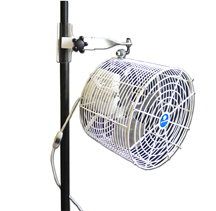 The air circulator guard design allows for greater air movement at very low noise levels. 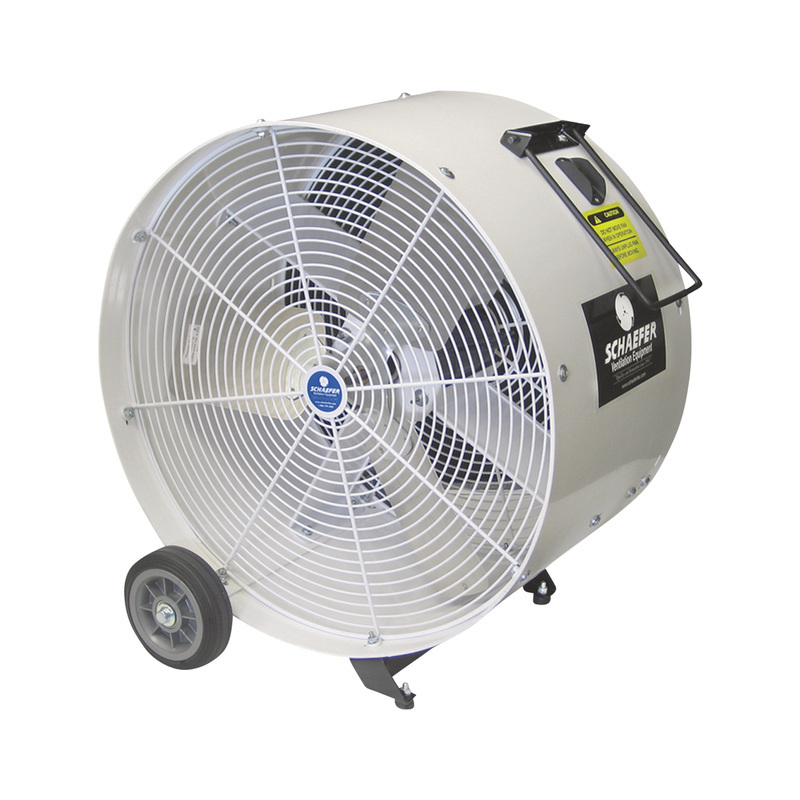 Improve air quality and working conditions by strategically placing Versa-Kool circulation fans throughout the work area. 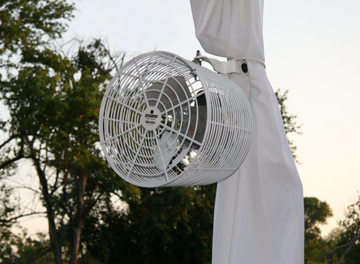 Great for tent rentals, special events, weddings, sporting events, etc. Available in 8" to 36" diameters. Extremely rugged guards and housings for long life. Guard spacing and custom engineered blades result in greater air movement at lower noise levels. Mount fans 7' or higher for OSHA compliance. Guards are powder coated over zinc for corrosion resistance. Heavy-duty, totally enclosed, maintenance free North American motors. Variable speeds with optional motor speed control. A wide variety of mounting options for easy installation. OSHA guards available on 36" models. Fan Performances may vary. Circulation cubic feet per minute (ccfm) performance numbers tested in accordance to AMCA 230 standards as circulation fans. Many other models, sizes and options available.